I am trying to gap-fill Landsat 7 SLC-off images with open-source software as explained in the comment below this post. 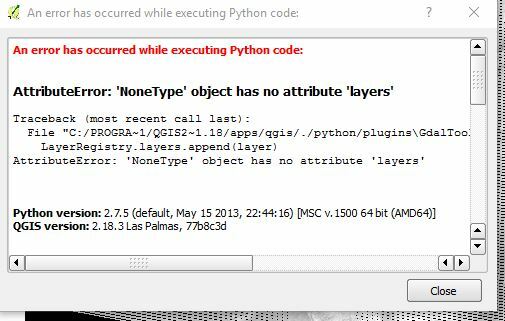 I'm new to QGIS and have almost no knowledge with Python (I'm a GIS novice normally working with ArcGIS 10/Pro). GdalTools is installed and checked and I am using the Band 1 mask (from USGS download) on Band 1. When I run FillNoData, it returns Band 1 with the gaps remaining. It may not matter but it appears you're output file is going straight into a tarball. You could try outputting (and reading from) elsewhere. You could also try executing the the gdal_fillnodata command directly in GDAL commandline/shell (e.g. copy and paste the command from QGIS window, start the OSGEO4W shell, paste and execute). Ok, I've gotten it to work! Executing from commandline seems to be irrelevant, temp file seems to have been irrelevant. What did work is I changed pixel search distance to 10 (just for the test), and then unchecked "band to operate on" and "do not use default validity mask". Only loaded 1 band at a time into QGIS. Now I'll tweak from here. Not the answer you're looking for? 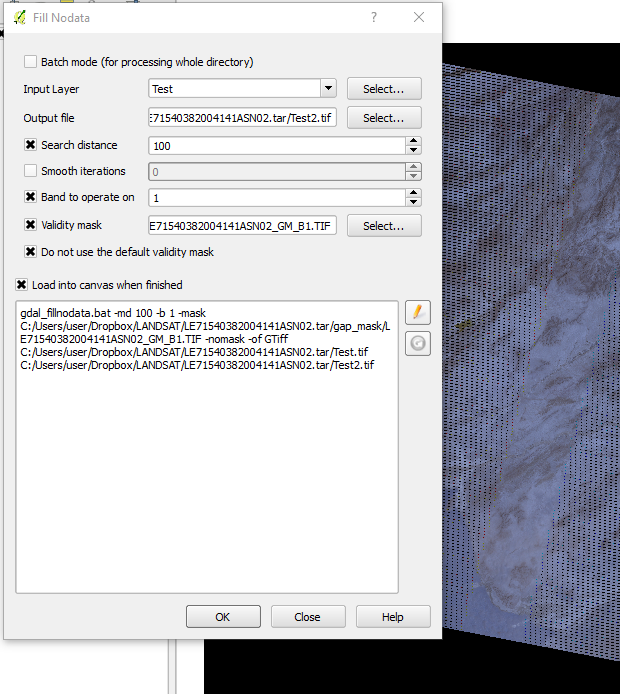 Browse other questions tagged qgis landsat-7 missing-data or ask your own question. How to fill gaps in SLC-Off Landsat 7 ETM+ Images with QGIS? How do I fill Landsat 7 SLC gaps using QGIS?